Religious leaders have joined the chorus protesting the Adani Carmichael coal mine in Queensland’s Galilee Basin. 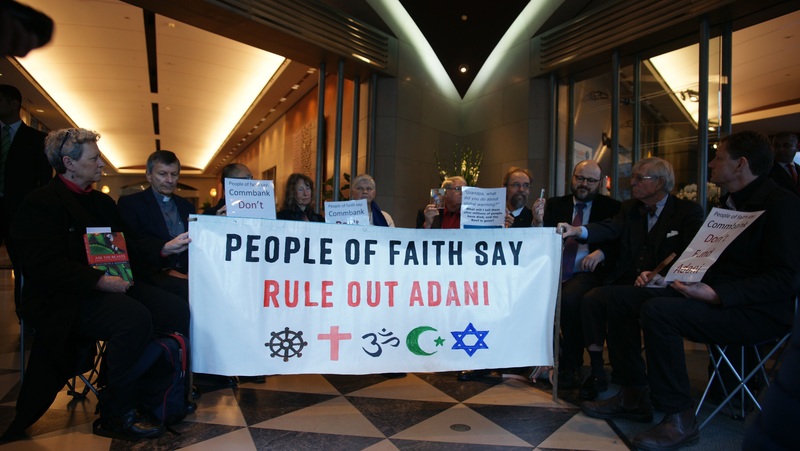 The sit-in, organised by Stop Adani Sydney, brought together Anglican, Buddhist, Catholic and Uniting Church leaders in the Commonwealth Bank’s headquarters to demand the bank’s board rule out lending towards to project. The Commonwealth Bank has still not ruled out making the loan, the bank’s board meets on 13 June, and further protests around the country are planned before that date. Rohan Salmond has the story. London Attacks : What’s Next? Can the National Electricity Market be reformed?